Dating an old photo is key to correctly identifying the person in it. 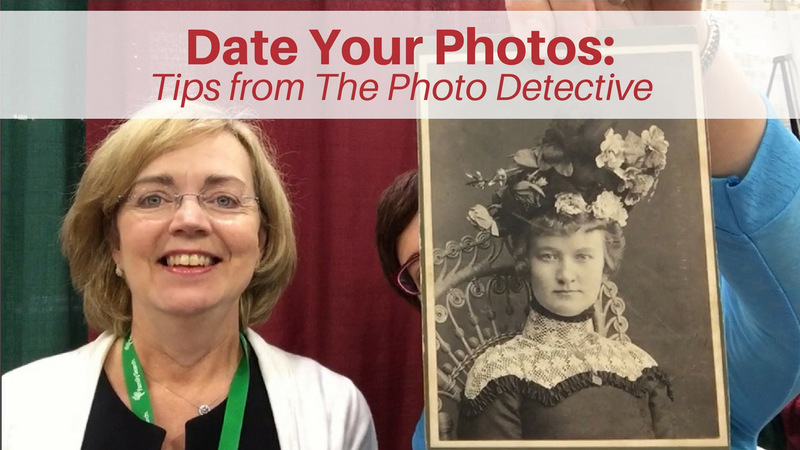 I sat down with Maureen Taylor, the Photo Detective, for her tips on where to get started when dating old photographs. BONUS: In the video, Maureen mentioned that the woman in the photo had blue eyes. How can you tell in a black and white photo? Maureen explained to me that blue eyes show up pale in black and white photographs. Good to know! You can find Maureen’s books at her site MaureenTaylor.com, as well as on Amazon. 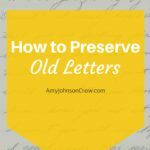 This entry was posted in Preservation and tagged interviews, Maureen Taylor, Photo Detective, photographs, photos by Amy Johnson Crow. Bookmark the permalink. Uh-oh, you mean this could become addictive? I just bought my first flea market bible because it had old photos inside, in great condition. 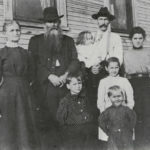 No names, but I had to see if I could find out who they are and maybe connect them to a living family member! 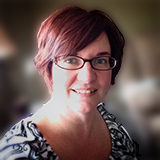 Amy, will you be offering 31 Days Better Genealogy in March 2014? I have been out of the “gene pool” for so long and there are so many new advances that I feel swamped! Help! If you received my previous email from tonight, I apologize. 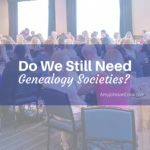 31 Days to Better Genealogy is ongoing — you can sign up for it whenever you’d like. Thanks for your interest! Amy, It is me again! Sorry. I didn’t read by email be fore I sent, and only then noticed I asked for a class in March 2014…Da! I really meant March 2017. Thanks for being patient with me. I have learned so much from your entries on Pinterest. Actually, it’s not quite true that pale eyes are blue… they could be grey, green, hazel (a greeny-brown). How eyes show in a monochrome photo depends on the lighting. And working out their exact colour without any clues is guesswork!